← “Mixed Media Masterpieces – with Jenny & Aaron” Book Giveaway! Last minute shopping? 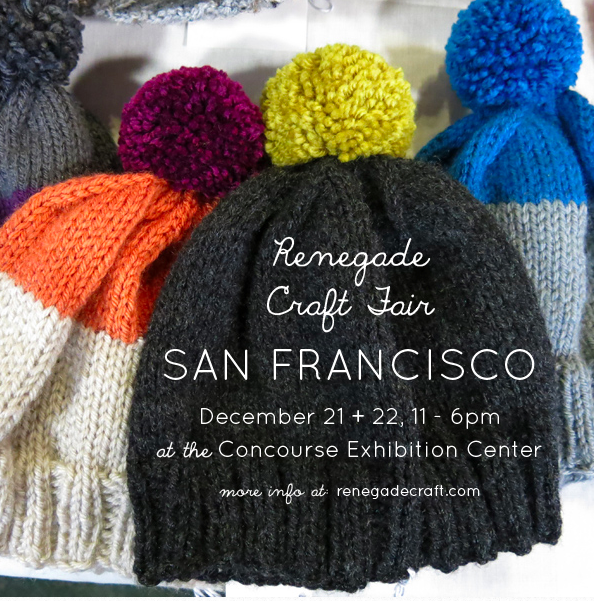 Renegade Craft Fair! This is happening this weekend! Come on out! I’ll see you there! One Response to Last minute shopping? Renegade Craft Fair! I’ve only seen 2 project from the book, but I really love the faux cake!